Kansas City's Premier Residential & Commercial Roofing Expert Since 1950! We are Licensed,Insured and Bonded. We use only the Finest materials available. They are the result of Durable Materials, Accurate Bids, and MOST IMPORTANTLY, Years of Experienced Professionalism. Do You Have Roofing Concerns? 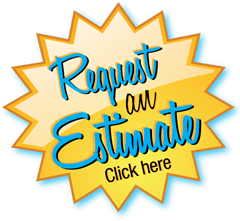 Our employee's thoroughly understand all types of Roofs, Will Ensure All Roofings Is Correctly & Accurately Installed, Will Accurately Estimate Costs & Will Promptly Complete Every Contract. We can be relied upon for all your roofing needs or re-roofing needs. We will gladly explain the various materials involved and their advantages to you. We feature a varied selection of materials and colors from which you may choose. Call today and let the experts at LAMBERDS PRO-TEC ROOFING & SUPPLY COMPANY come out and examine your roof needs. We may find it in good condition, ready for years of service, or may find defects that can easily be remedied, We also provide a full line of roofing supplies for homeowners ad contractors. Read the full article posted in the 2006 Fall Business Review and Reference Guide. Lamberds Pro-Tec Roofing is a locally owned family business servicing the Greater Kansas City metro area. We attribute our success to a very diligent staff with over 60 years experience in the roofing industry giving the public what they deserve: quality workmanship at competitive pricing. In other words, treating people the way they would like to be treated.Lamberds Pro-Tec Roofing continually expands their horizons by updating products and offering exciting accessories for the changing needs of the public. We look forward to meeting your roofing needs!